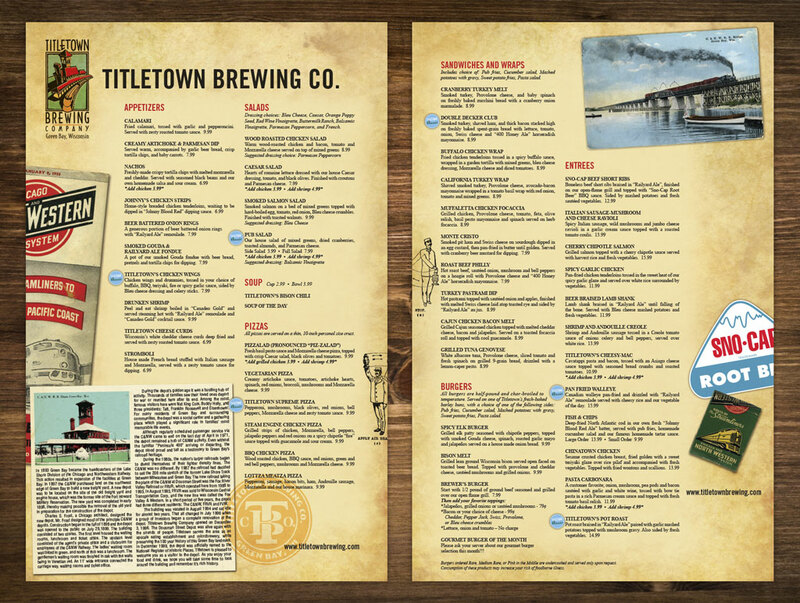 While preserving 100 years of railroad history in its landmarked facility, Titletown Brewing Company serves the Green Bay area as an upscale eating establishment and microbrewery. 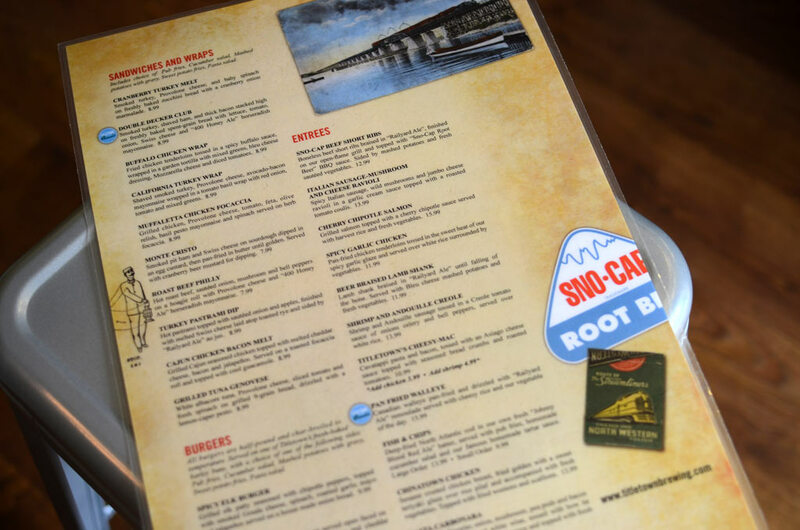 The restaurant partnered with us to design their menu – which features railroad memorabilia, giving it a nostalgic feel. 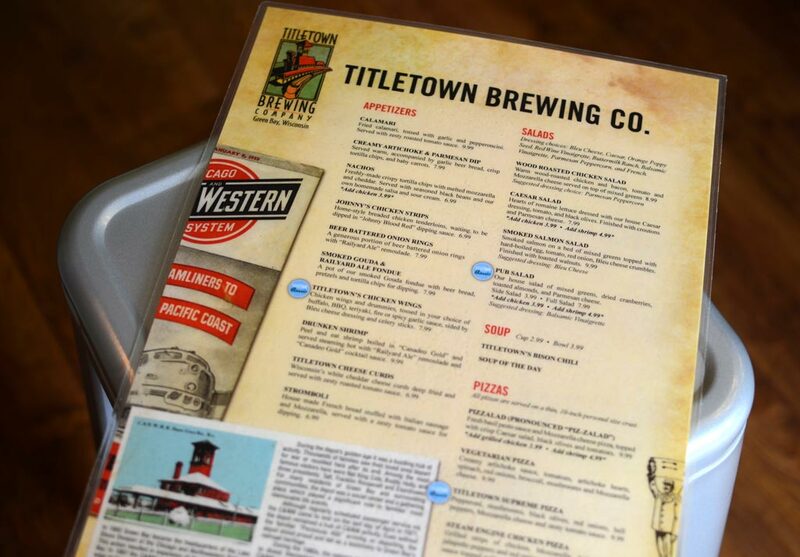 We worked with Titletown to strategically place menu items to improve sales of its higher-profit selections. Print Graphic Design Services: Menu design.